Dang kids these days have tens of songs on their internet phones. I get by with one when I forget old reliable… which is the name of my IPOD that has a VARIED AND PLENTIFUL MUSIC LIBRARY. There, those caps should inform people that I listen to more than one song ever. Why not buy an MP3 player? Or if you’re using a Mac an iPod would make more sense. Copy all the songs from your beloved CDs (I hope you still know of their existence) and put them onto your new travelling musical companion. Or ask Bacon Wizard, he’s good with that. 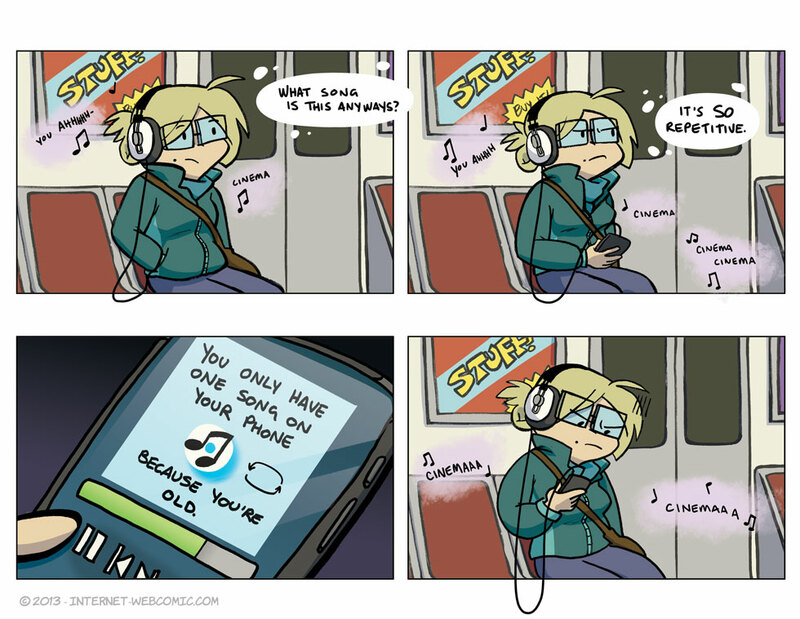 I have an iPod but I occasionally forget to bring it with me on my commute. This one time I asked the bacon wizard to burn me a CD but he’s only capable of perfectly cooking them. Hmm. You’d think the Bacon Wizard would have some bacon songs he could share with you, but sadly the bacon bard is out on a separate quest to find the perfect bacon recipe and write a tale of the bacon’s godliness. MP3 player… I’m still using my old Samsung, even though its about 4GB memory are nowhere near today’s possibilities. Wouldn’t want to go without, especially on longer voyages. Always a matching song for whatever mood I’m in on that little device. Only thing I regret is that you’ll never have the same sound quality as with a CD player. I have a playlist of twenty, and I swap them out. some people call me neurotic for having “song slots”. After reading that poster, I don’t kow what “Stuff” is but I sure want to buy it! Is the song Cinema by Benny Banassi or however you spell it?